I read this article and wanted to share it with you: Q: Could Sonlight Fail You? A: Only If Your Goals Don’t Match Ours https://blog.sonlight.com/mismatched-goals.html. 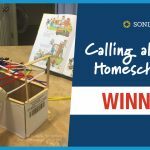 Depending on your goals for homeschooling, Sonlight might fail your kids. If your goals don’t match those upon which Sonlight is based, yes, the curriculum might appear a colossal failure. For example, one mom said online that she regretted choosing Sonlight. She said that our literature-based approach failed her daughter miserably. Why? Why did Sonlight fail in this case? Or, perhaps more telling, what did Sonlight fail to do? This mom homeschooled with Sonlight A for Kindergarten and then chose to enroll her daughter in a Christian classical school for first grade. The results of the school's required placement test showed that this young child of the tender age of 5 or maybe 6 was “behind” because she didn’t have the phonics foundation this school expected. So the question here is whose goals did Sonlight fail to achieve? Because of the emphasis on reading aloud to this Kindergarten child, Sonlight failed to get this girl ready for a first grade phonics test she needed to get into a private school. Does that mean that Sonlight is a failure? We don’t think so! Passing that phonics test was not a goal for our History / Bible / Literature A program, so we wouldn’t measure our curriculum against that standard. Does Sonlight Prepare Children for a Classroom Setting? 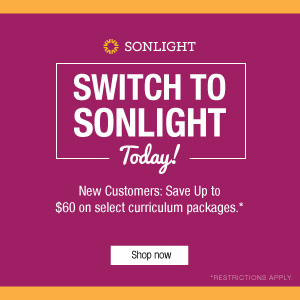 Sonlight may not prepare your child for a specialized classroom setting. And we’re okay with that! First, Sonlight will not likely match a school's narrow requirements, not because Sonlight is somehow academically inferior, but because the emphasis is different. Every transition from one schooling approach to another requires a reassignment of priorities. Second, Sonlight's Top 10 Goals could be (and probably are) different from the school you are considering. If excellence on phonics and math tests for young elementary students are the goals of a school, Sonlight's goals will not align. 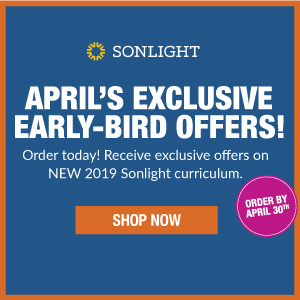 If you are looking for a program that will cram testable standards into your child's mind in the first year or two of school, Sonlight may not be for you. To clarify, Sonlight is not a curriculum for slackers or dullards. Sonlight students excel at all levels—elementary school, middle school, high school, college, and beyond. If you want to see just a few examples of Sonlight students' success, see our Where Are They Now series. It’s both inspiring and reassuring to see where a Sonlight education has taken so many graduates: from missions to science careers and everything in between. We can tell you boldly that Sonlight works. It has worked for over 30 years for tens of thousands of students to achieve the goals it sets out to accomplish. If you are questioning whether Sonlight matches your goals, reach out to our homeschool consultants. Click here to schedule an appointment. I'm feeling a little defensive on Sonlight's behalf! Granted, it isn't right for everyone--but you go to great lengths to make that clear to potential customers and to help us determine whether it is right for us or not. I found the articles on "Reasons NOT to use Sonlight" and outlining Sonlight's goals to be extremely helpful, and reassuring, when I made the choice to start Sonlight 2 years ago. I can understand your disappointment and frustration here, Luke, but honestly I don't think Sonlight has failed in what it is trying to do or what it is trying to be. If this mom intended all along to send her child to a private school for first grade, seems like she should have found out what their requirements would be and made sure whatever she chose as a kindergarten curriculum would help her meet them. I quit worrying about test scores as much after I read the entire test to a dyslexic child. I realized that many of the questions had a politically correct slant that my children would not recognize as a correct answer, such as a question about the pilgrims and why they celebrated Thanksgiving. The correct answer appeared to be "they were thankful for the help of their Native American neighbors." What? How about thankful to God? It was eye opening. Standardized tests have a world view. 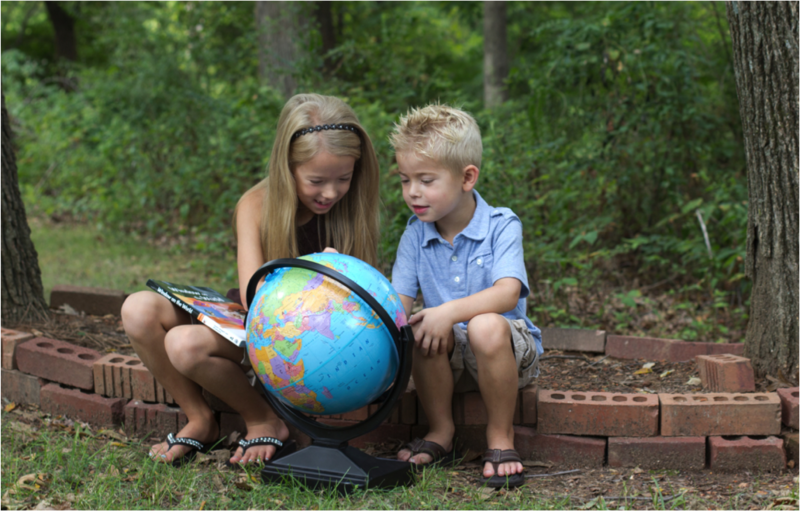 I prefer that my kids SEE the REAL world, but, through the lens of a Christian World view. That is why I love Sonlight. I use and love Sonlight, but honestly I think the reviewer had a point - I've had my frustrations with SL K and first grade curriculum also - having transitioned back to the US now from overseas which has also meant a season in our local public school for my first and third grader (soon to be second and fourth.) In all honesty, SL starts out VERY slowly with little repetition in the phonics dept. I feel like it works well for the gifted child (like my oldest) who detests lots of repetition and worksheets, cuz he usually gets the concept first time around. However it DOES fail the child who learns best by creative repetition. Worksheets are FUN for my second child - when I stopped using SL and put him in PS (yes, with assessments every week and 22 kids in his class) he began to thrive - and progressed reading far more rapidly than I had even dared hope to expect. He is much more fluent in reading and writing, and enjoys it now. However, in all fairness, SL does offer add-ons to the phonics program. I've used those and added on even more when necessary. I also feel that reading level and mastery evens out with SL and other educational paths probably about 3rd or 4th grade, and then Sonlight pulls AHEAD of others. So that's why I will continue with Sonlight. And I will continue to find other things that mesh with SL to meet each of my individual child's needs. You said it well, Luke, "What are my goals for my child's education this year?" To me, that's what it's all about. We just finished Sonlight K, but did supplement with an additional phonics program. We had an awesome year with Sonlight and plan to continue with World History next year! We are currently re-reading the I can read it books! It is amazing to hear the progression in my daughter's reading skills from the beginning of the year until now! Well, SL DOES recommend the use of Explode the Code, a basic phonics program, as well as a 1st grade reading program that some parents feel moves too fast--so I think perhaps it's as much a question of what the priorities for a parent or child are, as anything. If a parent does not choose to use the possible phonics options, then they will find their child has less phonics, in the end. In my experience, many private schools also expect all their students to be a year or more ahead, especially in reading. The school my daughters attended in the early years required kids to read consonant-vowel-consonant words in order to get INTO kindergarten! A standard-sequence program would clearly not be enough for a child to gain entrance to a school like this. If a parent knows a child will be moving into an advanced school, or any school at all, really, they need to make sure of the requirements, and work towards any that might be unusual. As an experienced school teacher I know that the criteria for success are very narrow! School entrance tests highlight this. 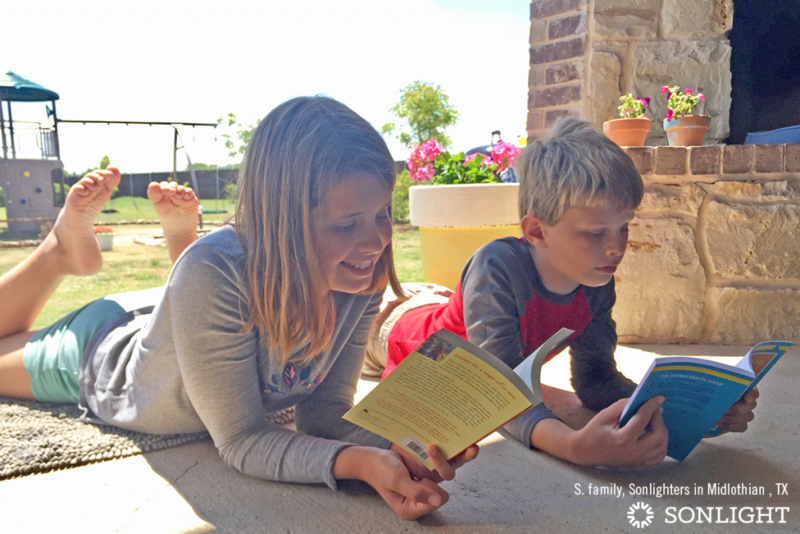 My children and I have really enjoyed the superior quality of literature that Sonlight chooses for each Core level, we learn so much together and enjoy it too! I have had to 'unlearn' alot of what I was led to believe was important in education to be able to be a more relaxed and successful homeschooling parent ..... and am learning all the time. I think you've put it very well, Luke. Each parent has to determine what their academic emphasis or priority is. Keep up the great work Sonlight - you've helped enrich our lives! I don't really think this is a failure on Sonlights part. If you choose to homeschool you are choosing to think for yourself. Sonlight literature is just that, It is literature. It is not a School teacher who comes into your home and does all your thinking and work for you. It is the tools needed for a successful education. A carpenter does not look at his hammer at the end of the day and say, "you know you just really let me down today, we should be further then we are". Rather if you run into a job you do not have the tool for, you definitely go to the store and buy the tool needed. Same with Sonlight, If the tool is not included that you determine you need with careful thought and planning before hand, then you find what is needed, you get it and you apply it. I am a free spirit, homeschooling alone is a triumph of grace for me. I love Sonlight. I love Sonlight with the fervor of a drowning man. :) If I start going under the water (so to speak) I get out my Sonlight catalog and read about other peoples experiences and their success stories, and I get all excited again to press on! I'm with Kathryn-this failure is NOT due to Sonlight! And shame on the parent for saying so. Thanks, everyone! Glad this post resonated with so many of you. And may you find the tools that you need to meet your goals in the coming years... be then part of a Sonlight Core or something you add on <smile>. Well... Sonlight *did* fail my kids and it wasn't because of entrance exams or anything. They simply learned very little in their three years of using Sonlight (core, language arts, and science). It doesn't work for everyone. I find the reasons not to use Sonlight article to have a very condescending tone, but the points are very true and should be considered. As an immature homeschooler (i.e. one that had not been homeschooling very long) I didn't know what would be best for my kids. Now I do. Sonlight isn't it. Doesn't make it bad, just highlights the fact that no curriculum works for every kid. Great point, Heather. That's one of the reasons Sonlight has the Love to Learn guarantee. And I am so glad you have found something that works for your family. It has been fun to glance at your updates on how well your children are doing! I just can't imagine a child not being able to test on grade from using SL, but maybe that's just because we have used the supplementary material AND every child has their own curve. We are halfway through second grade, this is our second year of SL, and my son reads above a 4th grade level for fun on his own. It suddenly happened on it's own a few months ago. We've always used the supplementary material though since my son had so much trouble with spelling tests. I personally didn't really like the style of Sonlight's LA for teaching kids to read. And I found the reading and writing to be a mismatch in levels. We're constantly having to mix and match LA levels to do reading from one level and writing from another, which is so confusing. And it seems like many or most of the moms I talk to on the boards have the same problem. That said, Sonlight's strength has always been the cores. The science and LA generally seem to be considered a little weak. So I wouldn't throw out what Sonlight does really well (the books) just because I didn't love the science or LA. I do wish the LA hadn't been integrated into the core, though, but I guess I'll have to see what I think about the LA once we reach Core D and kids start to even out in level. Besides which, if you know you're only going to homeschool for a year, wouldn't you plan for what you wanted your kid to cover before starting school? I mean, surely if you knew they'd test your child for entrance, wouldn't you look to see what they test and focus on those things? If excellence on Phonics and Math tests are the goals of a school, Sonlight's goals will not align. This seems like crazy talk to me. Granted we did not start Sonlight until our kids were in third and fifth grades, but we spent six years total in your core programs. We bought all our math from you and experienced what I believe are pretty stellar results in both that and reading. First, I do not know why Sonlight would not work for the vast bulk of people who are paying attention to the educational process. Short of some very special needs on the part of a student, I cannot imagine there was no "operator error" or lack of attention on the part of the teacher(s). Even with the one area (part of one subject for one year) where we really hated the material, we were able to get around the deficiency fairly easily by talking to the kids about what was wrong and with very minor supplementation that we would have done anyway. Second, we disabused ourselves of the idea that we or our kids were brilliant relative to everyone else. So that left us with only the Sonlight program, hard work, and teaching methods to differentiate our kids from others. We experienced particular levels of success in Math and Reading. I think you might even be aware of some of that success. I do not think you need to apologize to the doubters. I am happy to talk to anyone about how we accomplished what we accomplished and the integral role played by Sonlight in all that. Thanks for jumping in here and defending our Phonics and Math programs. I agree that they are excellent -- as you have well demonstrated [smile]. As a mother of five, four of whom have been in "Sonlight first grade" with the same additions (we use Rod & Staff for phonics and Bible stories), I believe the child matters more than the curriculum. These four children - same family, same teacher, same curriculum - would have tested at 4th, 12th, 6th, and K grade levels in reading, spelling, and phonics halfway through first grade. The K-level child is dyslexic, but making huge strides! The outlier started reading at age two (her choice, not ours!) and never stopped. I think Sonlight is first-rate, because we *connect* with the stories we read. Your catalog points out the reasons why Sonlight may fail. I think she should have looked at the reasons more closely, considering that she planned to put her child in school in first grade. I do think, though, that you raise an important point in asking "What are my goals for my child's education this year?" Truth is, Sonlight did "not" work for us, either. Because we have to follow our home country's educational system (Home Econ starting in 4th grade, every academic subject needing five tests per quarter). Our Social Studies alone consists of Philippine History, Word History (Core G) and current events. With a church service in our house every week, I simply couldn't Sonlight. But. We continue even though we're now on our 3rd year and only just past the halfway mark in Core G. Because we continue to have Sonlight moments. Thank you for sharing your stories, Elizabeth and Athena. I hope many people are encouraged by what you share. This is our first year homeschooling and we are using the complete grade package for second grade. Our child was at or below grade level in all subjects in public school...we are only 2/3 through our sonlight package ( took breaks to study and supplement more in depth when something interested us) My child who was struggling to read last year and in LAP reading...is up till late hours of the night reading chapter books. We credit the freedom from testing and comparison homeschool allowed. Now he has learned to love reading for the joy, not for the weekly evaluation scores. Also, in math, we recently looked up the standards in public school, and by using Horizons math, my son mastered all the second grade skills and about 90% of third grade skills before his second grade year is even over. I have found that sonlight is challenging and if anything as my student well above the grade level in all subjects! Thanks Sonlight! That is so encouraging to hear, Jennifer! May your son continue to thrive as you enjoy the freedom and joy homeschooling offers [smile]. I think Luke is completely right. It all depends on what your focus is. None of my kids have read fluently before age 7. Then, in a matter of months after their 7th birthday they were reading chapter books! Kids are all going to be ready for reading at different ages. If you spend tons of time focusing on phonics with a 4 or 5 year old, they may start reading a little earlier but by age 8, most kids are basically reading at the same level. I don't put a ton of focus and time into phonics and reading early on b/c I know how much easier it is when you wait for the child to be ready. If you want your 5 or 6 year old to be reading well, then go for it! You are going to need to supplement what Sonlight does b/c that's not the focus of Sonlight's early grade curriculum. Me-I'm just going to keep reading tons to my littles, teaching them to enjoy great literature and time snuggled up with mama while making gentle, steady progress with phonics. Then, when they start reading, I will work like crazy to keep them in great books as they begin to devour every book they can get their hands on! It's worked perfectly for 2 of mine (who were also among the best readers in their classes last year during a one year stint in private school!). Just have 2 more left to go and all the confidence in the world that we'll get there! Having them love literature and want to read is my goal and I've been thrilled with the results we've gotten from Sonlight! I have used Sonlight for kindergarten. We loved it. My background is as an audiologist with a doctorate degree. I have worked within the public schools and attended public school from kindergarten to grade twelve. I understand the desire to compare apples to apples with the public school system -- particularly with Common Core standards. It is tough to see children reading within preschool and solving math problems that most of us struggle to understand. It may even seem that homeschooling is lagging behind. If you plan to enter your child into the system after a year or so of homeschool, then yes...perhaps homeschool curriculum will be a challenge. If you plan to educate a significant amount at home, it is a wonderful choice. Consider it a journey. Where will your child be academically and spiritually by the age of eighteen? This is what I'm concerned with. Besides, I was a late reader who did not do well until the age of eight. And I have a doctorate. Relax homeschool teachers. Children may have a gentle start with the language arts but explode later. 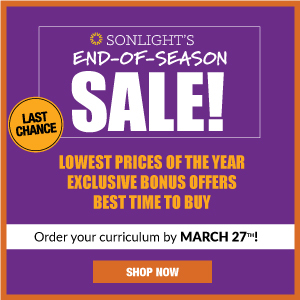 I do believe that Sonlight has one of the most academic and satisfying curriculums on the market. My daughter loves her books and constantly pulls them off the shelf. She is very, very active but loves the Sonlight literature choices. The science is actually harder than what is offered at a private school. 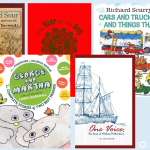 The read aloud literature is very advanced (beyond what is offered in traditional kindergarten classes) and the readers offer a wonderful approach that will build your child's confidence to read. That is crucial!! Image our joy at exploring actual frontier towns that correspond with Little House on the Prairie. Imagine her joy as she begs to learn about Roman history and true stories of missionaries. She is only six! It is a great, well rounded program and you can still supplement. I use Explore the Code for the language arts. The spiritual growth of our child coupled with her love to learn is truly amazing. We are pursuing the grade one and preschool curriculum this year. I've looked at other choices including public school. I keep coming back to Sonlight. "Consider it a journey." Love that. I won't be using the course nor recommending it, and neither will my peers who were actually raised and educated using it. Why? For the same reasons I listed above. Didn't adequately prepare them academically, and gave them a false narrative about the world since - per scripture - until He comes back all governing authorities are under the purview of the Evil One and to pretend America is an exception is a lie. Christians are called to obey governing authorities and live in peace with others to the extent that it does not compromise our faith and true heritage as citizens of the Kingdom. Hence the ongoing protest against abortion for reasons other than saving the life of the mother. We don't need to cotton to that and neither do we need to cotton to false narratives. Good day. Thanks for sharing your experience, Ryan. I always like to learn why someone's personal account is radically different from my own. I absolutely agree with you that the Bible -- not to mention history itself -- is brutal. As I shared in this post, "Anyone raised on Scripture isn't going to have their sheltered world rocked by accounts of sin." Given the success of thousands of Sonlighters over the last quarter century, this may all come down to preference. That said, I welcome whatever helpful suggestions you may have. You can comment here or email me. I appreciate feedback however you are most comfortable. Thank you, again, for sharing your thoughts. I look forward to seeing what improvements we can make based on your insights. Ryan K: Any examples? (The way American History is taught is grossly inaccurate and portrays the U.S. Government as above reproach). I have never used Sonlight but I am curious. I have heard so many good things about it. Specifically that children enjoy reading and continue to read out of pleasure beyond elementary,high school and college. One mother told me about how her son still remembers and talks about stories they've read and how it impacted his life. This made me take a look at Sonlight. Just adding a few small thoughts. I have a 6 year old son - who we started on sunlight at age 4. We have purchased 3 full curriculums so far. The curriculum content so wonderful - we still reread many of the early curriculum books on a weekly basis. We will we forever grateful for the quality of literature brought into our house by Sonlight. We will continue to homeschool with Sonlight throughout the duration of of my son's schooling. However - I do feel that there needs to be supplementation to the Sonlight program, particularly with regard to writing and reading activities in an easy to use format. We supplement with Evans-Moors publications, which my son absolutely loves. We also incorporate additional 'stem' curriculum elements - which add variety and interest to our day. 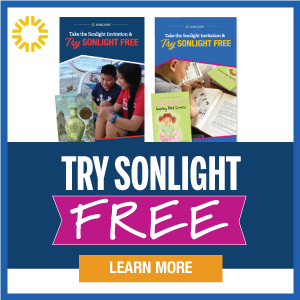 I guess there is never a one size fits all curriculum for every family and learning style - however, Sonlight works beautifully as a trusted corner stone. Thanks for sharing your experience, Beryl! I'm so glad you've found materials that meet your family's needs by tweaking your curriculum. That's one of the many benefits of homeschooling! I agree with what was said in the article, but I think not only do your regular goals need to align for the program to be successful, your timeline goal has to as well. For example, I was public schooled starting in Kindergarten in 1989, and at that time the trend had begun for a lot of kids to be in pre-school, but it wasn't all day. Nor was Kindergarten all day - it was only morning or afternoon. You didn't start as early as the kids do now; generally you went into Kindergarten if you were six or going to be turning six during the school year, not having barely turned five. And you didn't learn to read in Kindergarten. It was first grade when you learned to read, and public school Kindergarten was for stories, learning the letters, and learning to count. At this time, my mom decided not to put me in pre-school like everyone else. She thought it was better for kids to have another year at home and just explore and play. As a result, she ended up having to deal with notes from my Kindergarten teacher about me “being behind”. My ability to cut with scissors and color in the lines were not up to par with the rest of the class that had been pre-schooled, according to my teacher. But by 3rd grade I was fully caught up. Fast forward to today and something similar is true with Sonlight. As my wife and I began homeschooling, we faced the same choice about starting kids early, and decided to teach our kids on the same schedule that we were taught. No rigorous pre-school (though we did use Sonlight's pre-school, which is mostly just reading a bunch of stories to your kids which we would have done anyway :) ). Kindergarten started at age six and was not high pressure, and we did not attempt to teach either of our kindergartners to read unless they were very interested, preferring to wait until first grade, like when we grew up. Sonlight is actually a pretty good fit for this “more traditional” sort of a timeline. The difficult part of this approach though is how counter-cultural it is today. My kids are/were significantly "farther behind" compared to the kids of today than I was in 1989. Five year old Kindergartners are now learning to read, so a 7 year old first grader just learning to read is now two years behind. You will have other parents giving you looks and thinking you are crazy or a bad parent because their public schooled kid is so impressive and yours is still illiterate. 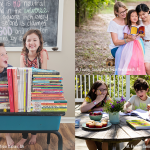 But, like when I was growing up and having to catch up with the pre-schooler crowd, my Sonlight homeschoolers are catching up with the public schoolers. My oldest just completed 2nd grade. At the end of 1st grade, she tested in the bottom 7th percentile for reading on the Iowa Tests of Basic skills, which wasn't surprising considering that other kids were taught to read at least a year earlier than she was. But after second grade, her standardized test "Total Reading" score put her in the 90th percentile, and on the overall standardized test she was in the 81st percentile, or ahead of 4 out of 5 U.S. students (and much of what she missed were topics we haven’t covered yet, since of course Sonlight also goes through topics in a totally different order than the public schools). I will admit I found it emotionally scary to be doing things so differently than the rest of the culture, and trying to keep faith that it would work out considering how far behind the kids can appear to be in those first couple of grades. But by just doing lots of read-alouds, and not drilling her hard on reading before she was ready (we followed the Ruth Beechick approach), she's always considered reading to be a joy, and she now reads almost constantly on her own for fun – hence the massive improvement in reading scores over the last year. We didn’t have to drill her or do extra practice to get those scores up. Like many Sonlighters she just eventually took off, and our only problem was finding enough books for her! Sonlight does have Kindergarten readers, so I suppose you could teach kids to read as early as the public schools are now doing. But it seems like Sonlight is set up to be taught on the more traditional schedule, and the goal is to build lifelong readers, not necessarily early readers. If your goals align with that timeline, Sonlight can be successful for you. But if your goal is to only use it for a year in Kindergarten to get your kid ready for an elite private 1st grade class, it might not be so great. Or, if you feel like your kids always have to be exactly where the public schoolers are, and it will be really hard for you to feel your kids are "behind" for a year or two, it also might not be a great fit. But if you don’t mind the more traditional timeline and can be OK with your kids not catching up until 3rd grade or so, this curriculum can get you there. Curriculum we used to get to this point: It’s pretty much all ordered through the Sonlight site, but we love and take advantage of the many mix and match options Sonlight gives us for full grade packages. We use the Sonlight cores, combined with Singapore for math, Spelling U See, and “A Reason for Handwriting”. 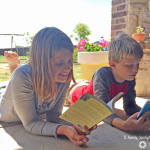 The only thing we really add over and above what we get with Sonlight are some Apologia science books, but we still get the Sonlight science also because our kids love the books that come with it.